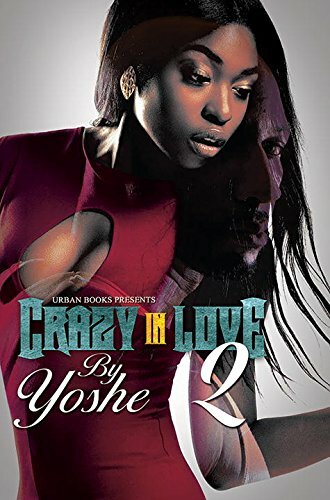 Crazy In Love 2 is a harrowing tale of betrayal and obsession. Will Sean choose to remain a faithful husband? Or will Brandi’s refusal to play second fiddle to his wife lead her into the arms of an obsessive killer? It’s been four years since the tragic suicide-death of Yadira Cruz and thirty-eight-year-old Correction Officer Sean Daniels’ life was finally on the right track. He was married to the beautiful Milan; he had a successful law enforcement career, a supportive family and great friends. But when Sean’s ex-love, Brandi Wallace suddenly re-enters his life, he sees everything that he worked so hard to build flashing before his eyes. Brandi is a very attractive woman and part of a shameful past that Sean desperately tries to forget, but the temptation to rekindle their steamy romance becomes very hard for Sean to resist, and the persistent Brandi will not be stopped. She insists on reminding him that they have unfinished business to tend to and she won’t quit until she get what she wants. Unfortunately, Brandi is haunted by her own demons. When someone from her past resurfaces, she too is forced to relive a deplorable secret that would finish her if it was ever revealed.